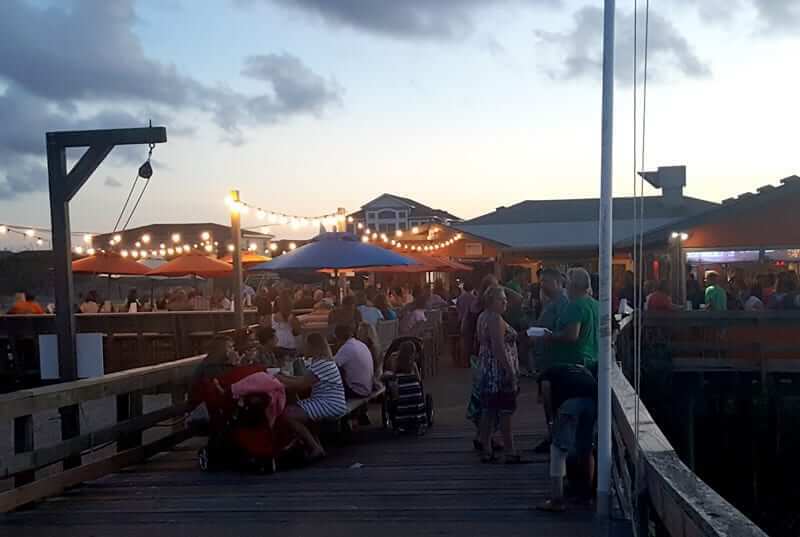 Fish Heads – Nags Head, NC: Located on the Outer Banks Fishing Pier in South Nags Head, there’s no better place to enjoy oceanfront dining while listening to the best musicians on the beach. 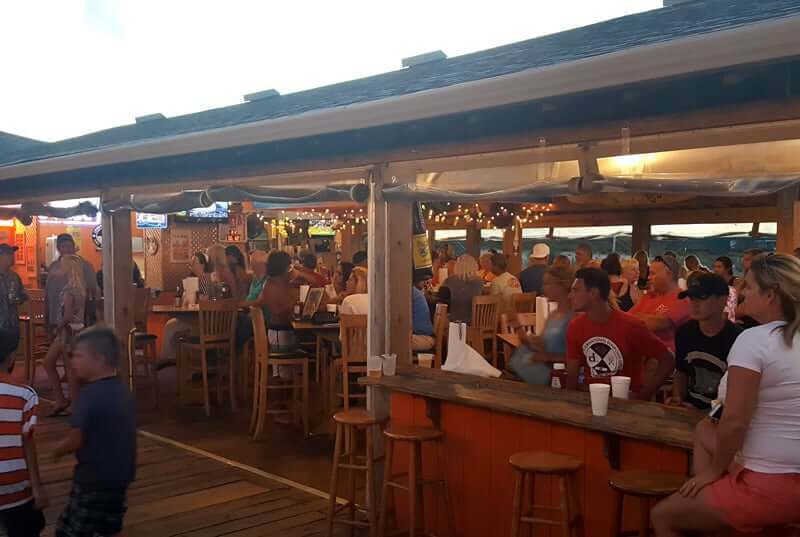 Locals love Fish Heads for their happy hour specials, nightly live music and a wide selection of beers on tap! Shrimp Happy Hour is every night from 4pm-6pm, featuring 15 cents steamed shrimp! 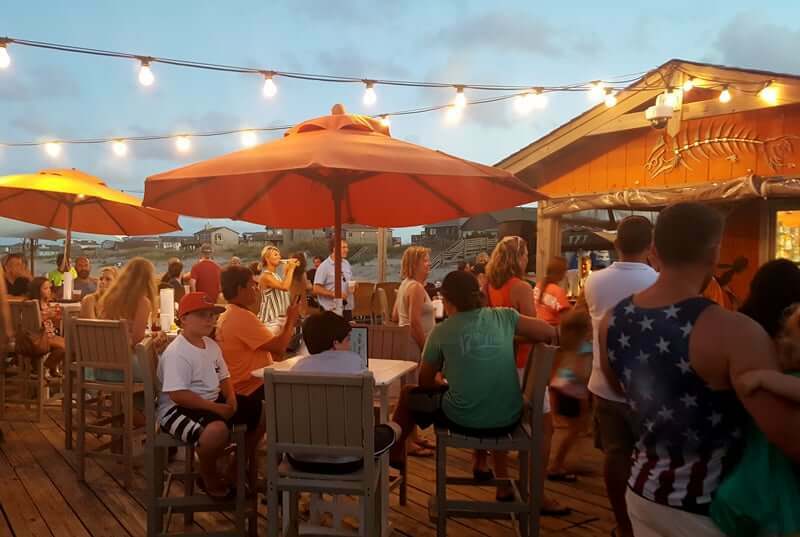 They host live music from local musicians & bands, seven nights a week, in season. Check the music calendar on their website to see who is performing tonight! The bar boasts over 30 beers on tap- many of which are NC craft-brews, and a huge selection of wine as well. 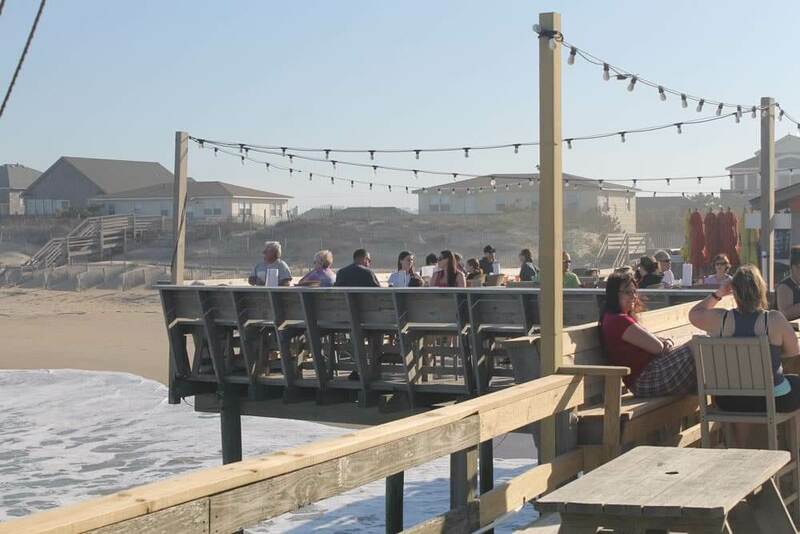 Sip on a beer with a basket of delicious fresh seafood and watch the sky change over the ocean as the sun sets behind you. Or rise and shine on the pier with a breakfast sandwich while watching the sun rising over the ocean before you cast your line. 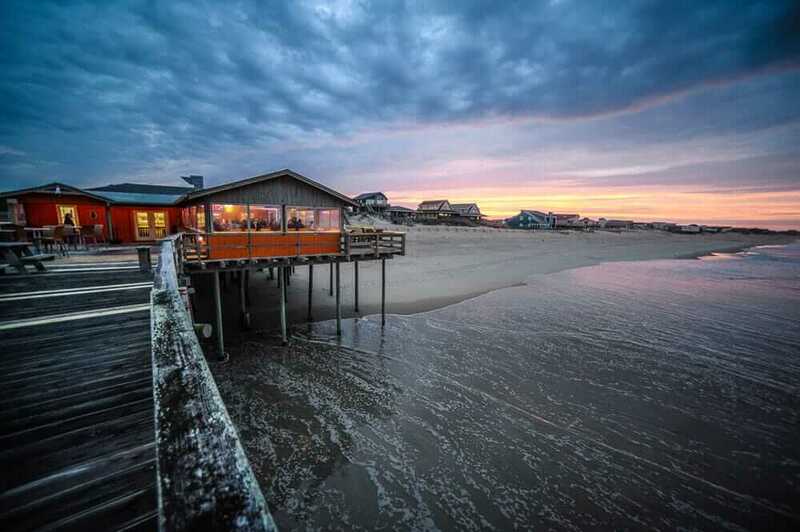 Outer Banks Fishing Pier is well known for its great fishing and family atmosphere. The pier is lighted and is open 24 hours a day. 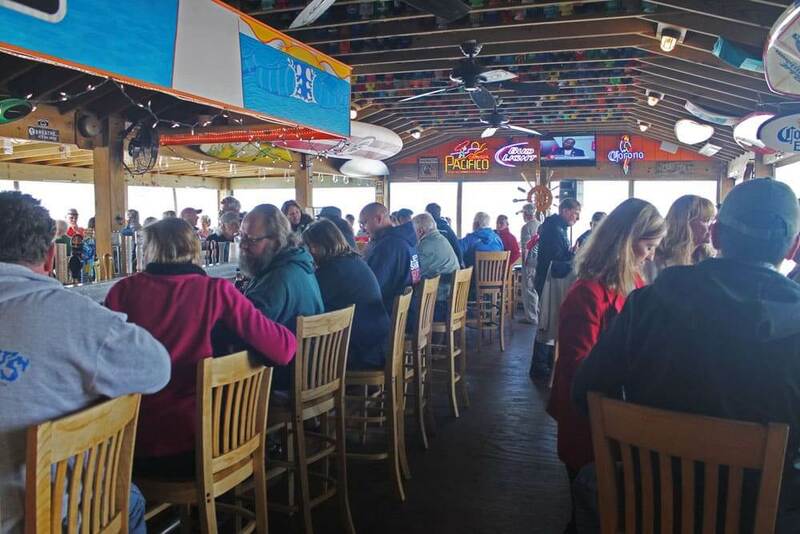 The historic pier has been serving fishermen for over 50 years! NO FISHING LICENSE IS REQUIRED to fish on this pier. Check out our Pier Cam. 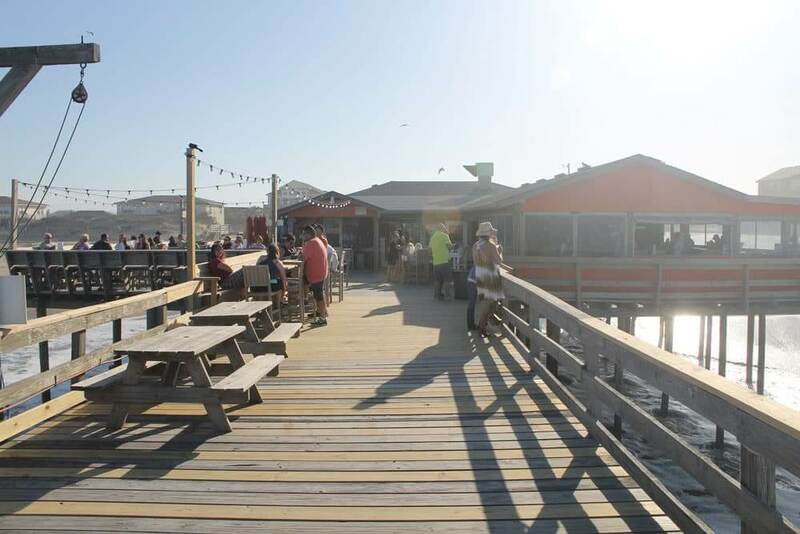 Inside the pier house, you’ll find a fully stocked tackle shop with all your fishing needs, video games for the kids, apparel and rental rods and reels. Daily, weekly and weekend passes are available.